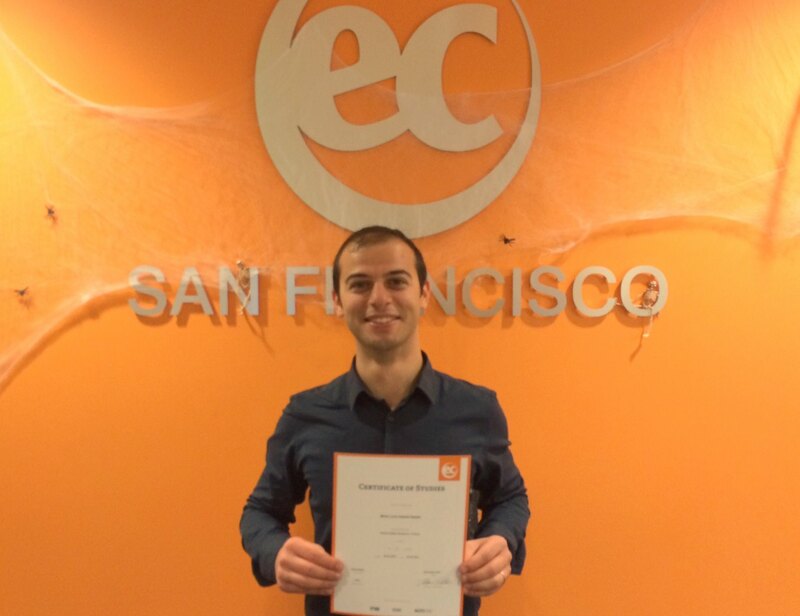 Why did you choose to study at EC San Francisco? I compared different schools on the base of internet judgments and EC San Francisco has the best rate of quality/cost. What was your favorite thing about EC SF? The organization of the lessons, the possibility to discuss different arguments and practice vocabulary. What is your favorite memory of SF? There are a lot of activities that you can choose after lessons. The bonfire on Ocean Beach [a student activity hosted by EC SF and Expedition America] was fantastic! What advice would you give to a new student learning English at EC SF? I suggest following all of the lessons because the teachers are really fantastic and are very interesting. We’re so glad that you enjoyed your time here, Jacapo, and good luck to you as you continue your studies!